For nearly five decades LuK has been supplying systems and components for the automotive drive train to customers around the world. Dr. Ing (E.h.) Georg Schaeffler and Dr. Wilhelm Schaeffler founded LuK in 1965 initially with the aim to provide diaphragm spring clutches for the successor of the VW Beetle. Today every third new car rolls out from the production line with a LuK clutch. The company is headquartered in Buhl / Germany. As a technology leader in many areas, LuK can look back on a legacy of having developed many groundbraking innovations: In 1965, LuK was the first company in Europe to market a diaphragm spring clutch, and in 1985 it launched the first dual mass flywheel. This was followed by the introduction of components for CVTs that could handle more than 300 Nm of torque, as well as the „easytronic“ – the world`s first electromagnetically-automated manual gearbox. 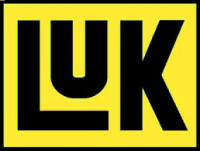 In 1997, LuK began engineering and manufacturing torque converters in the U.S.; Germany followed 2004. Current R&D efforts focus on components for hybrid drives as well as on the further development of conventional transmission components, in particular of future-oriented double clutch systems. Research and Development have always had a high priority at LuK. With worldwide research and development centers, manufacturing plants and offices, the company is represented in all markets with extensive engineering and manufacturing capacity. Every day LuK convinces the customers with a highly motivated team as a reliable engineering partner with creativity, great innovative ability and highest quality in all processes. The proximity and immediate availability anywhere in the world distinguishes the company as well as the ability to respond quickly to individual requirements. As a partner of the automotive industry LuK is leading in the development and production of system solutions for the demanding challenges of the automotive future. Top class quality takes top priority within the LuK Group and is naturally enshrined in the company principles. From problem-free fitting and optimum function to long service life – our products comply with the most stringent demands thanks to an advanced quality management system and prolific specialist skills. “Best in Class” is the ambitious goal driving LuK. For this purpose we use modern instrumentation with a particular focus on quality in the product development process. In the production process systematic “self-appraisal” by the employees is well-established. Our employees thereby knowingly assume responsibility for the high quality of our products. All factories are naturally certified according to the usual regulations.